It has been reported that in Allentown, alcohol is the most abused substance that people seek treatment for. 39.7% of admissions involve alcohol, and alcohol is responsible for 26.7% of all the mortality cases that involve drugs. The second most frequently detected drug is heroin, which appears in 36.8% of all positive drug tests. The presence of marijuana appears in 32.9% of positive drug tests and it is continuing to grow. Each year, an estimated 30% of all people who receive a marijuana-related punishment are facing their first offense. The amount of cocaine that is present in positive drug tests has been decreasing from 33% to 27% from 2013-2014, but the amount of people who are reportedly receiving treatment for cocaine abuse has increased from 10.2% to 11.6% from 2013-2014. Prescription pills and other opioids are consistently on the rise in Allentown and have been the culprit of 65.6% of drug-related deaths and that number is estimated to continue to grow. Surprisingly, the use of methamphetamine is not common in Allentown despite its rise in other cities across the nation. In the past 4 years, it has not made the list of the top 10 substances that are found in positive drug tests. Methamphetamine use is not expected to increase anytime soon. If you live in Allentown, and have fallen victim to substance abuse don’t hesitate to seek treatment. There are enormous resources in at your disposal. 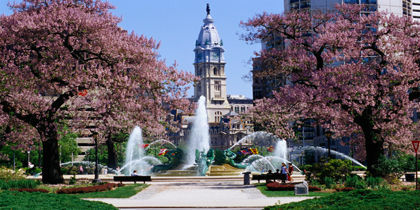 Allentown is located in mid-eastern Pennsylvania not far from Philadelphia. This is a relatively mid-sized city for the state and is home to approximately 118,032 people. These people are spread among the different neighborhoods like Krocksville, Ruppsville, Wescosville, Mountianville, Wilbur, Minesite, Farmington, Gauff Hill, Overlook Springs, Midway Manor and Alton Park. Approximately 58.5% of the Allentown population are white, 12.5% are black, 42.8% are of Hispanic or Latino descent, 2.2% are Asian, 0.8% are Native American and 5% are a combination of two or more nearly equal races. Allentown’s drug laws are consistent with the state of Pennsylvania and are fairly rigid. Possession for a ‘small amount of marijuana,’ which is classified as up to 30 grams, can result in up to 30 days in jail and up to $500 in fines. The first possession of any amount larger than 30 grams of marijuana can lead to 1 year in jail and up to $5,000 in fines. A second charge of possession of marijuana can result in a 3-year jail sentence and up to $25,000. Possession of marijuana with the intent to deliver has significantly higher charges than just possession alone. Possession of 2 to 10 pounds of marijuana has a penalty of up to 1 years in jail, 10-50 pounds or marijuana can have up to 3 years in jail and anything more than 50 pounds can result in up to 5 years in jail. Fines attributed with possession with the intent to deliver vary depending on the situation. In addition, possession of any drug paraphernalia can add one year to the sentence and up to $2500 in additional fines. Possession of harder drugs with the intent to deliver have similar charges as marijuana but vary in amounts that distinguish the charges. Possession of 2-10 grams of cocaine with the intent to deliver leads to a 1-year jail sentence, anywhere from 10-100 grams can lead to a 3-year sentence, and anything more than 100 grams can lead to a 5-year sentence. Possession of 1-5 grams of heroin with the intent to deliver can result in 2 years of jail time, 5-50 grams leads to 3 years in jail and any possession greater than 50 grams results in 5 years in jail. Much like possession marijuana with the intent to deliver, co-occurring fines vary depending on the individual’s situation. Regardless of the charge a person has, possession of a weapon can add 5 additional years to a person’s sentence. 2 years will be added to the sentence if the crime took place in a school zone. Driving under the influence of any substance in Allentown is not tolerated and punished as such. If a person receives their first DUI charge, they will not face jail time or a license suspension but will have to pay $300 in fines. An IID is not required for a first offense unless the person refuses to take a chemical test at the time of their arrest. A second DUI offense can result in 5 days to 6 months in jail, anywhere from $300-$2500 in fines, a license suspension of one year and the installation of an IID on the person’s personal vehicle. The third DUI offense can lead to anywhere between 10 days and 2 years in jail, $500-$5000 in fines, a license suspension of one year and the installation on an IID on their vehicle. If a person refuses to take a chemical test at the time of their arrest, additional charges can be added to their initial charge. The first refusal adds one year of license suspension and subsequent refusals add an 18-month license suspension to the initial charge. Allentown also has a 10-year “lookback period” meaning that after 10 years, a charge is no longer considered when working with subsequent charges. It is not always easy for a person who is struggling with substance abuse to recognize that they have a problem. Sometimes the family and friends of the addict who are concerned about their substance abuse problem need to step in and share their concerns with their loved one. This is known as an intervention and can be the first step that needs taken for an addict to begin seeking treatment. The purpose of an intervention is for the concerned friends and family to share their concerns and how they feel about their substance abuse and the end goal is always to convince them to seek help. It is not meant to belittle the individual because of their addiction or attack them for their actions and should come from a place of genuine concern. An intervention may be most helpful if the people hosting it plan what they are going to say prior to the event taking place. Some people even choose to write a letter and read it directly to their loved one to ensure that they do not leave anything out. Emotions can run high during an intervention and planning what is going to be said is a way that can keep the meeting on track. It is also important to keep the intervention a secret from the addict. If they know that it is going to take place, they are most likely going to avoid the event and miss out on what they family has to say. Another tip is for the friends and family to do some research on treatment programs that are available for the addict. The addict is likely going to be extremely overwhelmed by the end of the intervention and seeking treatment may seem like an impossible task to them but providing them with options helps remind them that treatment is a realistic choice. Once the addict agrees to seek treatment and picks a facility or program that is appropriate for them, they have to go to the intake process. This is generally a simple formality where an intake specialist with ask the patient personal information about their health, addiction and other past treatment they may have received. These questions may seem detailed or invasive, but it is extremely important for the treatment team to know so that they can create a comprehensive treatment plan. During the intake process, the patient will likely meet their treatment team which is made up of a counselor, psychiatrist, physician and other professionals that can provide the patient care as they work to manage their substance abuse. The patient and treatment team will work together to devise a realistic plan to follow while in the program and any goals they want to achieve during that time. Detox is an extremely important step in the treatment process but is also known to be both physically and mentally exhausting on a person’s body. The purpose of the detox process is to rid the body of any substance that the person had been abusing so the person can achieve sobriety. When a person becomes dependent on a substance, they are used to receiving it regularly and may feel as though they need it to survive. Detox is when the addict breaks this cycle and they have to let their body get rid of those substances naturally. Sobriety must be achieved before a person can start treating the underlying causes of addiction, so detox must come first. Detox has many physical and mental side effects that a person may experience. Some of the common physical symptoms include headaches, nausea, vomiting, uncontrollable shaking, dry mouth, hallucinations and cold-like symptoms. Common mental side effects that people experience during withdraw include anxiety, depression, irritability, insomnia and bipolar mood disorder. Some people experience less severe versions of these side effects, but others experience side effects that can have a serious impact on their health like heart attacks, strokes and seizures. The severity of these side effects depends on the individual and the length and severity of their addiction, so it is important that a person does not try to detox without medical supervision. After the patient completes the detox process, they will likely begin an inpatient program. Inpatient programs are residential which means that for the duration of the program, patients live at the facility in a safe caring environment. This is helpful for many recovering addicts because they are surrounded by constant care and are not tempted to indulge in their substance of choice during the times they are not in treatment. Inpatient programs usually have a predetermined time frame that patients are aware of prior to starting. Short term programs usually last anywhere from 6 weeks to 3 months and patients follow an intense, sobriety-centered approach. Long-term treatment plans typically last 6 months to a year and are beneficial to patients who have struggled with a long-term addiction and may need help with other life skills that can developed during their program. Regardless of what type of program a patient is involved in, their days look generally similar. Patients participate in daily group counseling and individual therapy where they discuss the underlying problems of addictions and develop healthy coping skills they can utilize as they strive for sobriety. If they suffer from a co-occurring mental illness, which is commonly seen in addicts, they will receive treatment from a psychiatrist who they will meet with on a regular basis. They may also take part in other programs provided by the facility like yoga, meditation, group outings and acupuncture. Outpatient treatment is a common “follow-up” step for patients who complete their inpatient program. It may also be a primary source of treatment for patients who may not require the same intensity of treatment that inpatient treatment has to offer. Outpatient programs typically take place weekly for an hour or two. Unlike inpatient, patients and their counselor may not establish a pre-determined time frame for their treatment. Many recovering addicts find this type of treatment beneficial because it can act as a source of accountability. Patients are able to continue engaging in their daily activities such as work or school since outpatient treatment is flexible, less frequent, and commutable. Although a recovering addict may complete their treatment program, it is still important that they seek continuing care and support. Aftercare can be any type of support that a patient receives consistently and long-term. Alcoholics Anonymous and Narcotic Anonymous are popular aftercare choices for recovering addicts because they are able to meet regularly with other people who have been in their situation. These programs are also free which attracts people who may not be able to afford a higher level of treatment. In some cases, a patient may complete their inpatient program but still may require extra support. Sober living homes, also called halfway houses, are great solutions for patients who may not have a safe environment to return to following their program. At a sober living facility, residents are not required to follow a daily schedule and are free to leave the facility during the daylight hours. They are often encouraged to search for a job and affordable, safe housing during that time so that they can start living independently. They must adhere to a curfew in order to remain a resident at the facility, which is in place to help deter residents from engaging in the same activities they were involved in before they began receiving treatment. Another requirement residents have to follow is complete sobriety. They must adhere to random drug tests to prove their sobriety and this also keeps them on track and accountable.